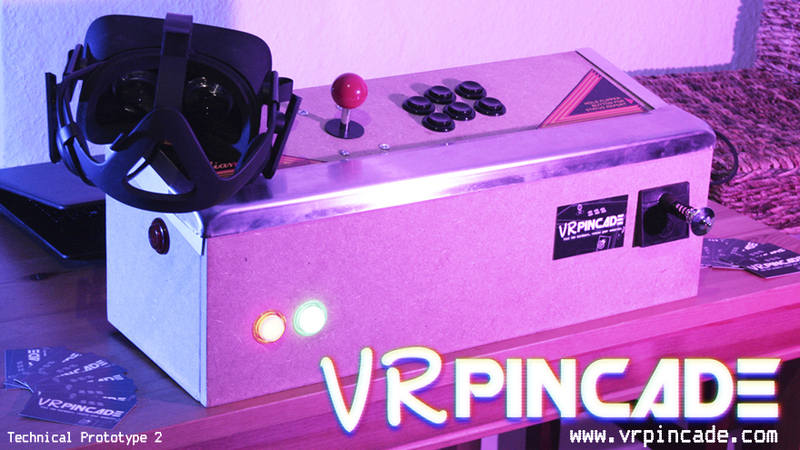 VR-PinCade is an imemrsive input device for games which simulate pinball or arcade machines. It is designed to deliver a very realistic experience and let the player believe, that he's actually touching the simulated table. Unlike other pinball and arcade controllers, it not only offers a realistic shape and input methods (buttons, joysticks, plunger, nudge detection etc.) but combines multiple haptic feedback concepts to deliver a unique and life like experience, which is not comparable to the feedback from simple rumble motors. While i'd love to make it a polished consumer product eventually, I have to start smaller. So the fist fist step will be a VR-PinCade DIY Kit. The kit how it is currently planned, will arrive at your door with everything you need to assemble it! An industrially manufactured circuit board that comes with all electronics you need to build a VR-PinCade Controller. *Pinball Buttons, Arcade Buttons, Arcade Joystick (including needed Microswitches and Leafcontacts). *what eventually will be included depends, among other things, on a survey. I consider to leave out parts that could be easily bought somewhere else. Follow me @DakorVR or subscripe to the mailing list below. During the development you will be able to significantly influence the final product. V All images are for illustration purposes only and do not show the final product or sketches that are used to build VR-PinCade. You can help to define what the final product will look like! Follow me on Twitter or subscribe to the mailing list for updates. 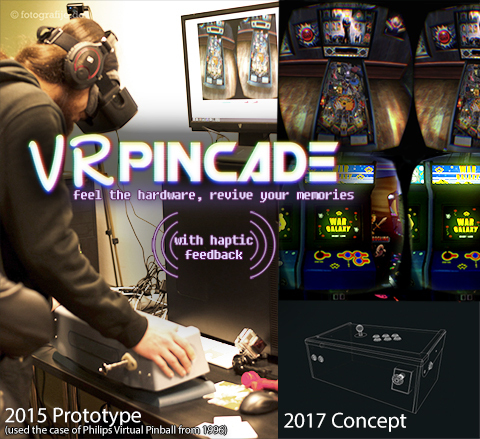 VR PinCade is a bachelor thesis by Daniel Korgel at the FH-Dortmund.